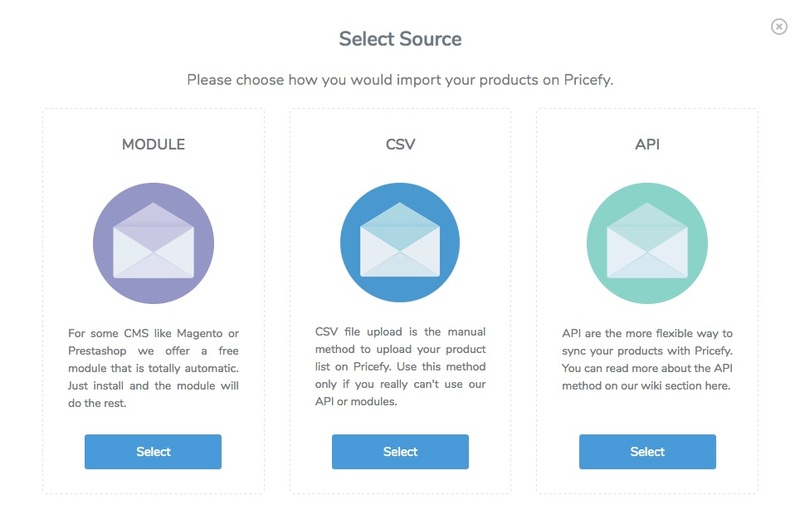 There are two ways that you could use to sync your Shopify store with PRICEFY. 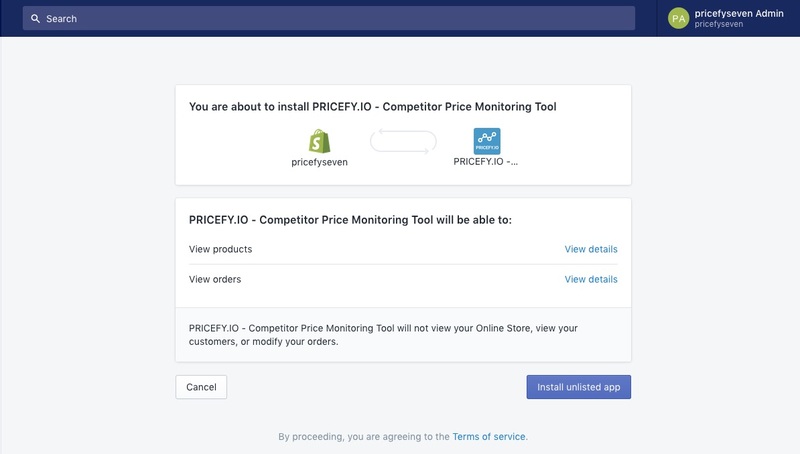 First first one is to register directly on PRICEFY website and then follow the onboarding process, linking your Shopify store from our backend. 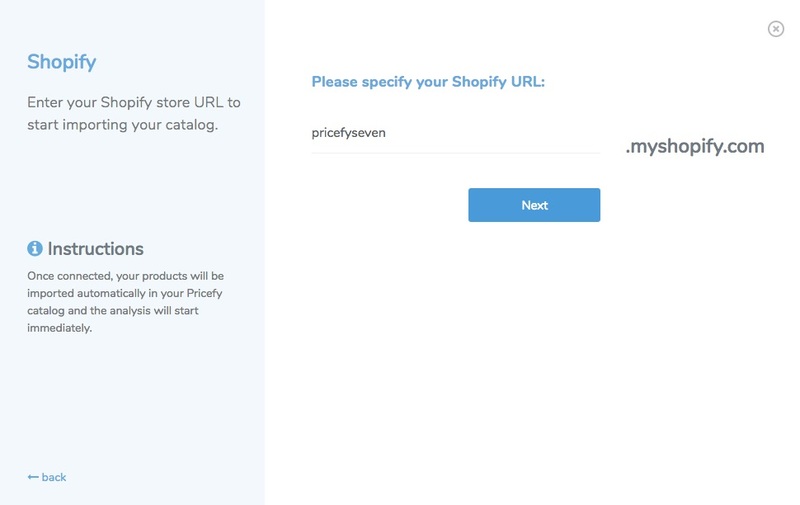 The second one is install our app directly from the Shopify marketplace. 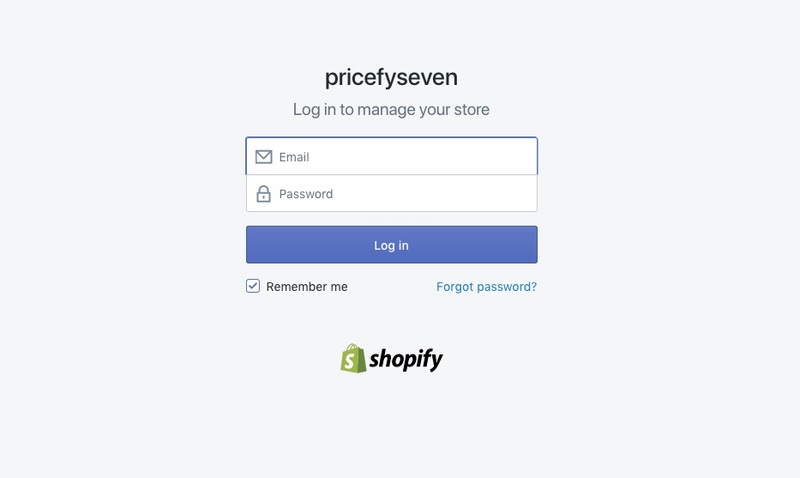 1 - Register a new PRICEFY account and login. 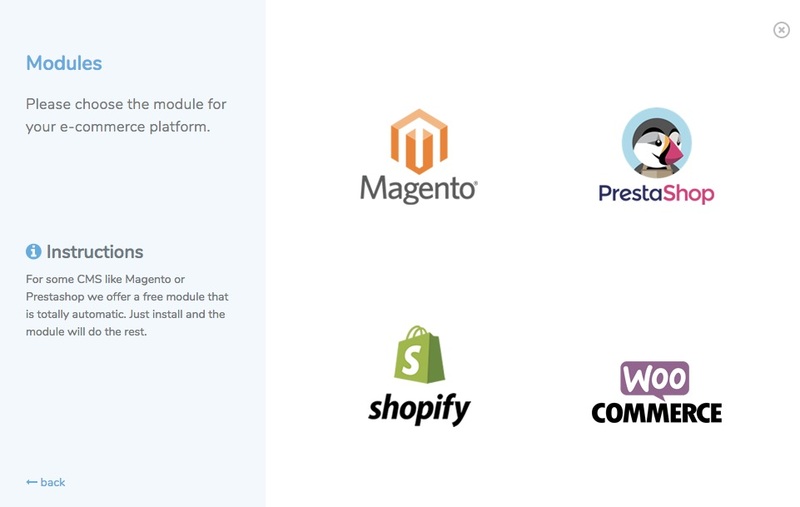 2- During the onboarding, you must choose which method you would use to import your products, please select "MODULE"
4- Insert your Shopify store URL.